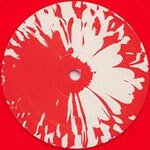 http://charlotteskitchendiary.com/tag/number-31-dublin/ Convextion’s Gerard Hanson has been creating techno since the mid-nineties. Last year his self-titled album on Down Low generated a lot of hype, and recently Psykofuk, DeepChord, and Echospace remixed “Miranda,” a track that’s been played by quite a few big-name Detroit DJs. Through his E.R.P. alias, Hanson explores the subtleties of “intelligent techno,” that brief early nineties movement when home listening diverged just slightly from the dance floor. The result is one of the most beautiful 12-inches I’ve heard in years. On the title track, drawn-out synthetic voices chime and flutter in dramatic harmony. “Lament Subrosa” sounds strangely familiar, like it’s a lost Speedy J track. A pulsing bass synth adds just the perfect note of tension two-thirds of the way through. Finally, “Irma” gives your woofers a real workout while chimes gently play in the stratosphere. It’s a cleansing shower of sound. It seems I’m not the only one with a renewed interest in the early nineties. Now that IDM seems to be fading away, it’s the perfect time to start over and explore the origins of the sound.